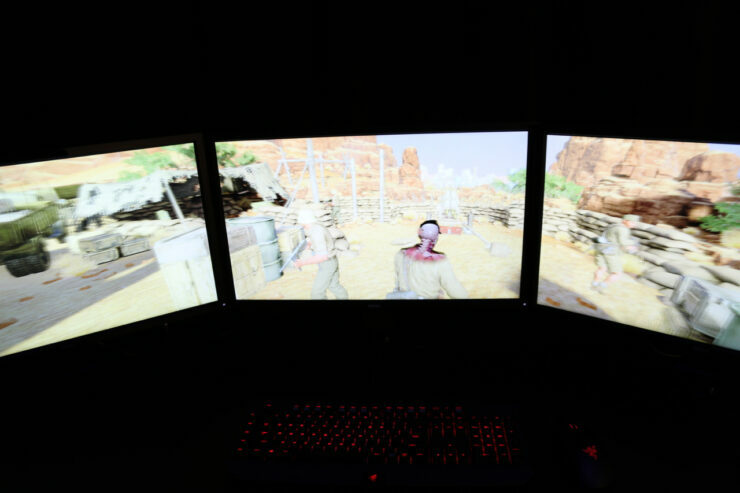 We previously showed you what Dirt Rally looked like at 12K using an Eyefinity setup while running at 60 FPS, but what about something a little more demanding? 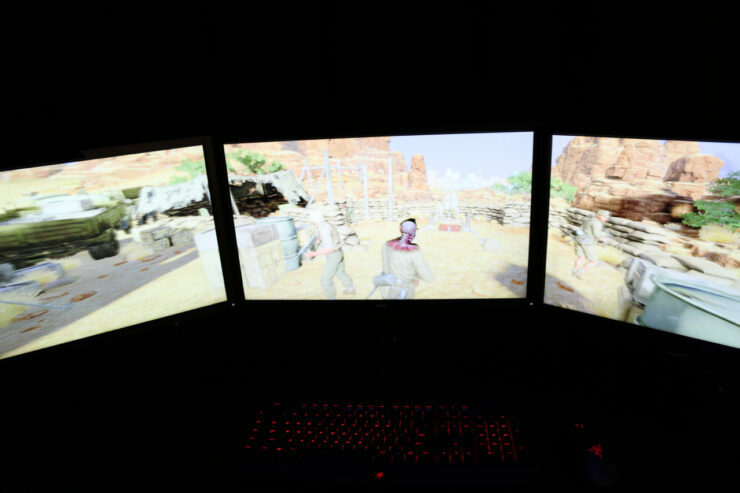 Sniper Elite III doesn’t have the most modern of engines behind it, but running at 12K across three monitors can’t be an easy task, even for an R9 Fury X.
Sniper Elite III is successfully run on a three monitor setup for an effective resolution of 12K. 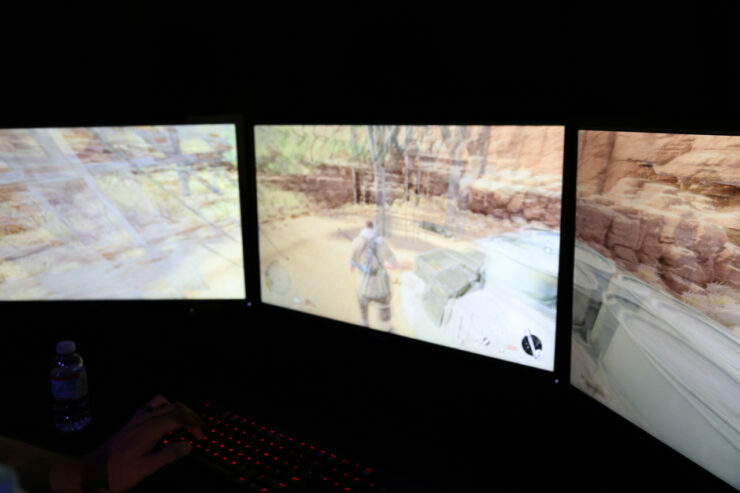 The demo that AMD had setup had a PC with an unknown processor (likely Haswell-E) with a single Radeon R9 Fury X running the initial level from Sniper Elite III. 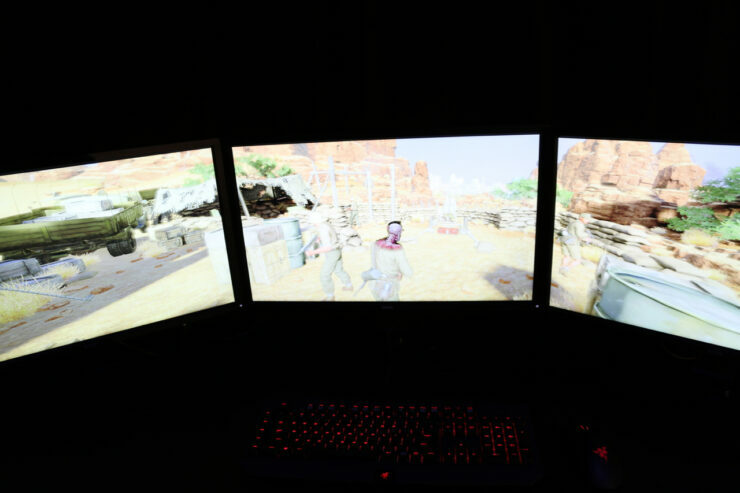 The performance was more than outstanding though it wasn’t always a constant 60 FPS. Any dips were more than manageable and it played very smoothly, meaning it hit the target far more often than not, even in complex scenes. This may even be due in part to the frame rate target control mechanism new to the Fury X.
HBM and effective memory utilization, as AMD themselves has said, could be the more appropriate answer to that of higher resolutions rather than just increasing the available video memory. One of the chief architects on Fiji mentioned that when they took a look at what was actually happening with the memory being marked as utilized they found that a good deal of that data was either redundant or wasted space altogether. More memory, then, certainly isn’t the answer at all. With HBM and better memory management we can achieve higher and higher resolutions without needing an increase in memory capacity. 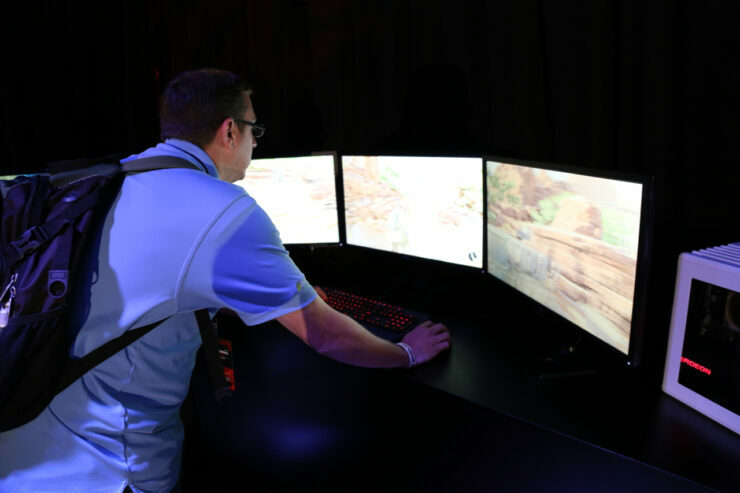 And we can then enjoy games such as Sniper Elite III at extreme resolutions at great performance. Such memory management can benefit all card makers as well.